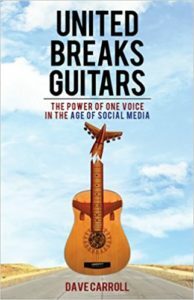 Do you remember the songs, and videos, from 2008 “United Breaks Guitars?” After United Airlines destroyed musician Dave Carroll’s guitar he chronicled the months-long journey he took trying to replace it. In the end, United told him “F**k you” as customer service blew him off completely. He went on to make a few million dollars with his songs and parody about the horrible experience. Because so many people felt they were abused like Mr. Carroll. “United Breaks Guitars” was a hit because so many people related to the terrible customer experience on United. “The Unfriendly Skies” was the motto of customers, mocking the airlines “Friendly Skies” ads. It was clear that by 2008 United did not care about customers. 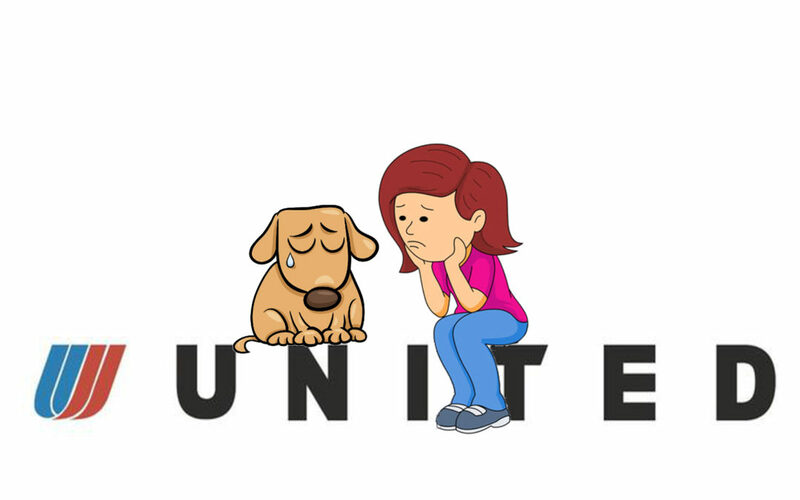 Moving headlong to constantly lower operating costs, United built a culture that focused solely on efficiency, leading to terrible customer service, unhappy customers and employees that were a lot more worried about being yelled at by their bosses for not cutting costs than creating any customer satisfaction. Things certainly haven’t changed. In 2017, United ejected a 69 year old physician from a plane, breaking his nose, knocking out his teeth and giving him a concussion. That created an uproar. Yet within a week United killed the world’s largest bunny rabbit in an airplane holding bin. But, even worse, last week United actually killed a puppy by forcing it be placed in an overhead bin. At least the dog United sent on a 1,000 mile unexpected flight to Japan survived, and the interviewed owner said he felt lucky the airline hadn’t killed his pet. Of course United refunded their money – which as you can imagine was a slap in the face to all these people who were so abused. Unfortunately, United is just the worst of a bunch of bad airlines. Customer service really isn’t any better on Delta, American, JetBlue or Southwest. Saying these other airlines are better is just picking out a less heinous member of the Khmer Rouge Army. This all goes back to deregulation. When President Carter allowed the airlines to charge as they like the industry really had no idea what it was going to do. There was chaos for years. But eventually consolidation kicked-in, and cutting cost was the only thing all 3 majors agreed upon. Buy more market share, as opposed to winning it with customer service, then slash the costs. This did the wonderfulness of leading all of them to file bankruptcy! Some twice! What a grand industry strategy! Then Chairman of American Airlines received Wall Street Journal front-page coverage for realizing people weren’t eating their olives in first class, so he ordered olives removed from the first class meals. He was cheered for saving $100K. But what folks missed was that he, and his peers leading the airlines, were systematically trying to figure out “how do we offer the least possible service.” By focusing on a strategy of lowering cost, and being doggedly determined in that strategy, soon nothing else mattered. Today, there are no free meals in coach, and terrible meals in first class. Management angered employees into strikes and multi-year negotiations, beating down compensation and eliminating benefits leading to unhappiness so bad that in 2010 a Jet Blue flight attendant pulled the emergency exit and jumped out of the plane as he quit. So, all the airlines in America stink. And, many domestic airlines in Europe, such as Ryan Air, have followed suit. The execs keep saying “all customers care about is price.” They use that excuse to create a culture so hostile to employees, and customers, that pretty soon employees are beating up customers and killing family pets (after charging extra to take the pet on the plane) and actually not caring. Employees have become gestapos for the leadership – which has created a culture in which nobody wins. So flight attendants do as little as possible, because they don’t care about customers any more than leadership does. In 2017, a JetBlue attendant threw a family off flight because their toddler kicked the seat. When a woman complains about a child in seat next to her a Delta attendant throws her off the plane. And just last week when a 2 year old cries during boarding a Southwest attendant throws the child and her father off the plane. Deregulation led to an oligopoly. Now, customers have no choice. Some of us fly almost every week on business, and it is pure hell. Nobody we deal with, from TSA to airport vendors to airline staff like customers. The culture has become “I’m abused, so you will be abused.” To fly is to succumb to being obsequious to ALL employees in your effort to not anger anyone, for fear they will deny you service. Or, worse, beat you up or kill your pet. But, honestly, there is nothing customers can do about it. The leadership of the airlines, lacking regulation, implemented a strategy of “be low cost.” The result was creating a culture where employees routinely abuse customers in the process of trying to save a few dimes. If the next Mark Zuckerberg, Elon Musk or Reed Hastings showed up, do you think HR would hire them? Would the Board of Directors, so focused on the wrong strategy, consider any of them as CEO? The wrong strategy has led to the ruination of an entire industry, miserable employees, unhappy customers and marginal returns. It is a terrible culture. So what is your strategy? Is your strategy creating the culture you want? Are you headed toward happy customers who want more of your product or service, and create growth? Or are you letting your lack of a forward-thinking strategy default you into operational cost cutting, and the movement toward a culture of misery that drives away employees, vendors and eventually customers? Get notified via email on new Posts!